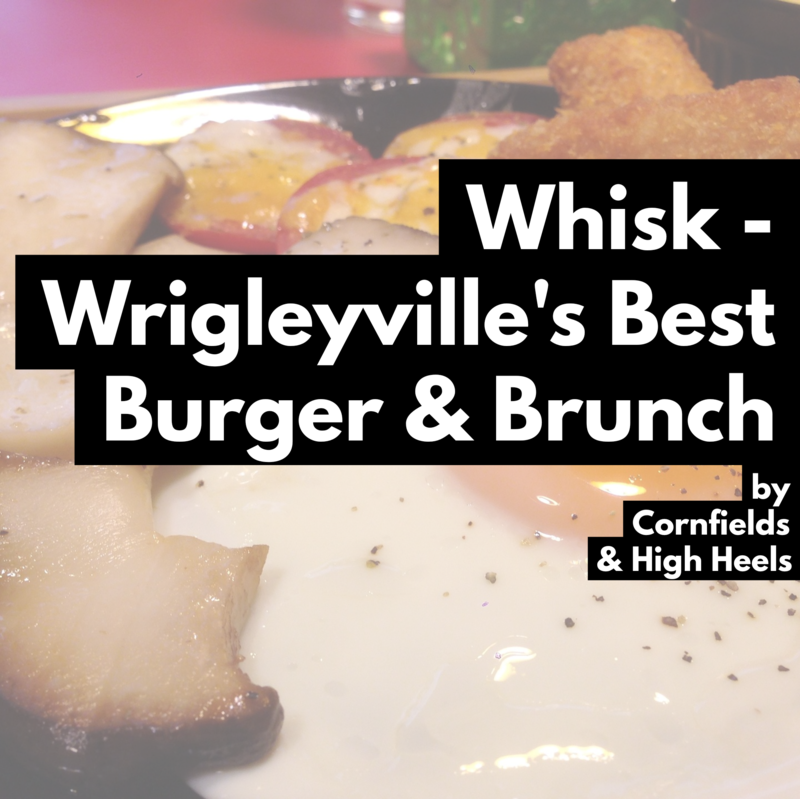 Did I just title this the BEST burger and brunch spot in Wrigleyville? Why yes, I did. It’s just my humble opinion, but as a foodie and food blogger, you’ll just have to trust me on this one until you try Whisk out for yourself! There are a ton of places to grab a bite to eat in Chicago, I’m focusing specifically on Wrigleyville – the heart of Cubs country. It’s Spring, baseball has started, and Wrigleyville will be hustling and bustling with fans from all over seeking a Cubs win. Whether the Cubbies give us that win or not, those celebrating or mending broken hearts will be filling up all the local hubs for delicious eats and cold brews. Anyone who has been to Wrigley knows first-hand the challenge of finding a place to grab some grub that offers good food, going to cost you an arm & a leg, and isn’t super crowded with long waits. That is where Whisk comes in! While visiting on a Friday game during the lunch hour, Whisk was not overly crowded and we were seated immediately. It is just a few steps from Wrigley Field! Upon first appearances, Whisk looks as though it may only seat a dozen people, however, they have additional seating available in another room as well. They are open for breakfast, brunch, and lunch with the hours of 8am-3:30pm Monday-Friday, and 8am-4pm on Saturday and Sunday. Make sure you have cash before you go – they only accept cash for payment. Kinda takes me back to 1914, but well worth the inconvenience of using a card (besides, who goes to Wrigley without some cash on hand?). FOODIE TIP: Visit during the Ron Swanson Magin Hours (Monday thru Friday from 11am-12pm) and receive 20% off your entire bill! Besides the great burgers and food, Whisk’s themed restaurant is what also draws people in. If you are familiar with the show Parks & Recreation you’ll immediately identify the Ron Swanson headshots and quotes that adorn the walls of this place. The chefs, two brothers and Ron Swanson fans, opened Whisk in 2014 and wanted to do breakfast for dinner, something Ron Swanson talks a lot about in the show. With an extensive breakfast menu available all day you can feast on omelets, egg benedict, steak & eggs, breakfast burritos, biscuits and gravy, and chilaquiles for a bit of savory. Or go sweet with their Reeses’ Pancakes or Dulce De Leche Churro French Toast! For a bit of a lunch feel, go for a burger – you won’t regret it. The Old Timer Burger with garlic aioli, egg, and bacon is delicious! Any burger can also be made “breakfast style” by replacing the bun with french toast and adding eggs with chorizo. Really want to live the Ron Swanson life? Try something specific from their Ron Swanson Menu! Why not make a weekend out of it – hit up a Cubs game and stay at the Zachary Hotel for the best of Wrigleyville!